The Violet-bellied Hummingbird (Damophila julie) is a species of hummingbird in the Trochilidae family. It is monotypical for genus Damophila. It is found in Colombia, Ecuador, Panama, and Peru; it can occasionally be seen in Costa Rica. 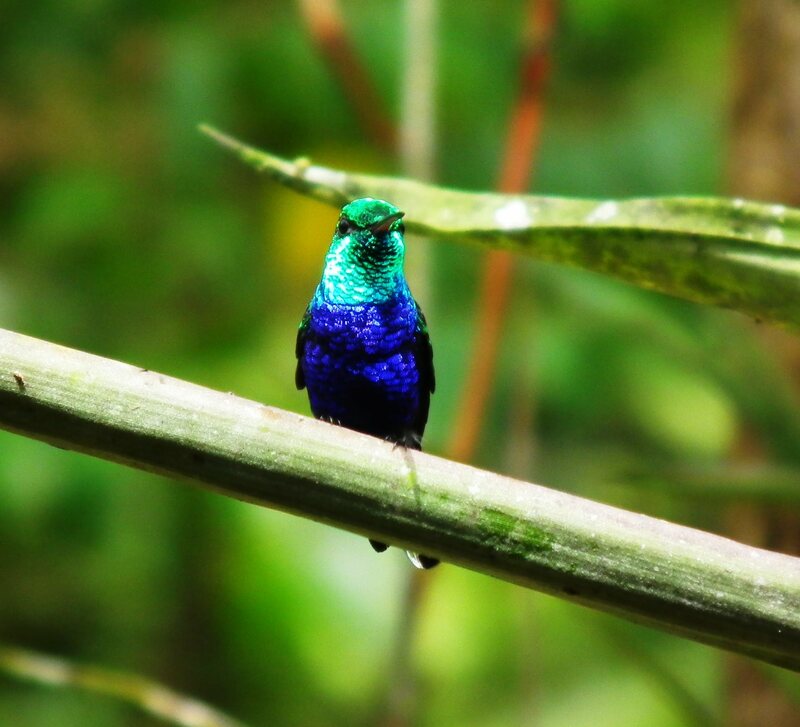 The Violet-bellied Hummingbird is a tiny, brilliant hummingbird of the Choco region, extending from central Panama to northwestern Peru largely along the Pacific lowlands. It is largely iridescent green, with a contrasting bright violet breast and belly. It occurs in forest and forest edge in both humid and semi-dry regions. It feeds on the nectar of various flowering shrubs and trees as well as on aerial insects. The nest is made of plant down and placed on a branch.